A Hindu view of Christ and Christian organizations. For many years, the British subjugated India and tried to push the Christian faith as they understood it on the Hindus. 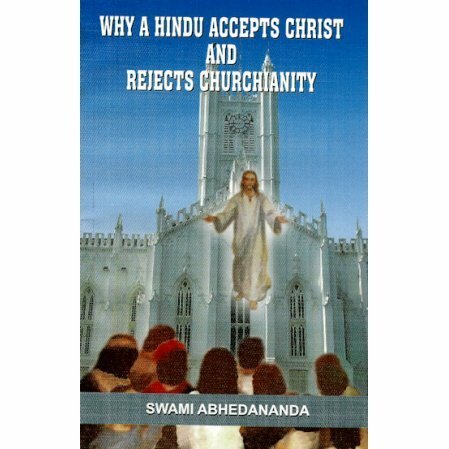 With that in mind, Swami Abhedananda, a brother disciple of Swami Vivekananda, writes this rather critical piece that both praises the teachings of Christ, while attacking the institutions that came up many years after Christ. He refers to them as "Churchianity." It's a spirited response that delves into many issues of Churchianity that he discovered while dealing with the fundamental preachers of his time. For years we didn't sell this book fearing that Christians would be offended. Times have changed and hopefully the matters the swami raises in this little book can be calmly discussed. On reading the book, feel free to leave a comment in the Reader Reviews section of the book's webpage.